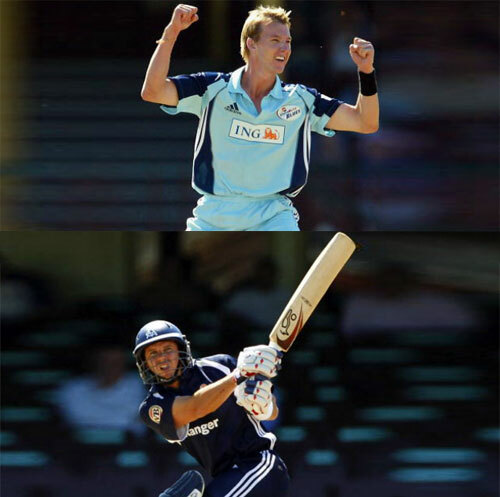 From October 9th to 24th 2009 the TEN network’s specialist ONE HD sports channel will be broadcasting the Twenty20 Champions League (CLT20) competition for state/territory club teams from India, Australia, England, South Africa, Sri Lanka, New Zealand and West Indies including Australian teams the NSW Blues and Victorian Bushrangers. This is the first time ever that the best club teams from different cricketing nations will compete in a big international competition and compete for $2.5 million in prize money for the winning team. The Twenty20 Champions League can be viewed as the World Cup of club cricket – a platform for domestic teams to perform and gain fans at the highest international level and prepare their players for the next step – representing their countries in international T20, ODI and Test matches. One aspect of the tournament which could prove to be controversial is players who represent more than one club having to choose which side they play for in the tournament. Victoria have won the Australian domestic Twenty20 title three of the four years it has been held, and have only ever lost three matches in the format. They are playing down their chances on the world stage but are quietly confident that their steady, familiar group can match the mish-mash of players in IPL teams. The NSW Blues also have big hopes of Champions League Twenty20 success with a talented bowling line-up including Brett Lee and Stuart Clark and are depending on opening batsmen Phillip Hughes and T20 specialist David Warner to kickstart batting innings.